G-Data Internet Security 2011 is a comprehensive and powerful Internet security software which combines antivirus, antispyware, firewall, antispam filtering, and additional Parental controls in a single suite. For rather than just having one anti-virus engine working away, the German developer doesn’t produce its own detection engine but licenses engines from two of its competitors – currently Avast and BitDefender – and runs them in parallel, so suspect files receive twice the scrutiny. 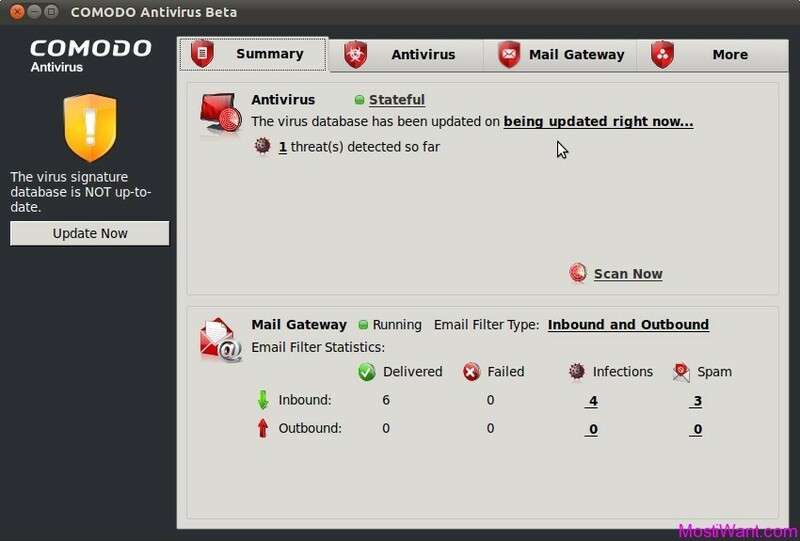 And that combination works, G-Data Internet Security 2011 is able to offer some of the highest malware detection and removal rates, according to independent testing. However, those with lower spec machines may have a little trouble with it as it may slow down your pc. Improved protection vfrom viruses, worms, rootkits, spyware, dialers, Trojans, backdoors, and more. Visit this promo page in spanish language. If you cant understand, try Google Translate, or Google Chrome in which the translation process will work automatically. Then download G DATA InternetSecurity 2011 special installer and install it. After installation, a registration window (in spanish) will pop up. Register it with your name and email. 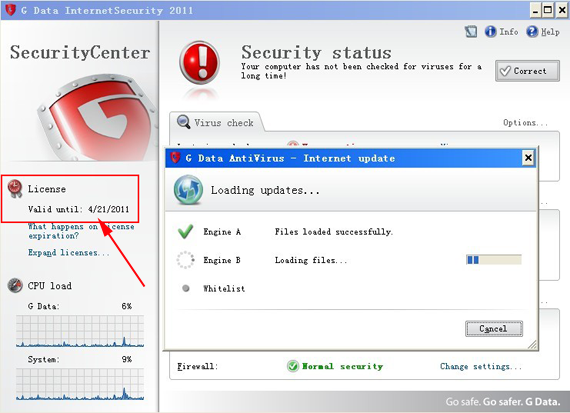 After finish, the program will allow you to activate G-Data Internet Security 2011 free for 3 months. And the free 3 months license will also be sent to your email. Every 3 months you will be asked to renew your subscription for FREE and you can renew the program free up to one year. The free license you got can also be uesed on other language installer including english. However, it may not able to auto renew after 3 month. Download G-Data Internet Security 2011 english other language installer from here. After install, a registration window (in german) will pop up. Register as a new client it with name and a valid email. Username and Password will be send to your email. Then you can uninstall this version and install other language and use Username and Password for 6 months free. @JC, Thanks very much for sharing. Best regards. Working on the Key File Method ,which are continously up to date. William, are there any promos for G-Data available? @alberto: Sorry to tell you that there is currently no G-Data promo available. ITS FAKE,PHISH what he offe rto you!!! Do not go to that page,they only redirect you to some stupied sites!! !That its true,he will be give you just serial!!!! 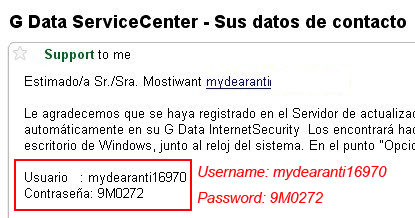 @isabella: G-Data Internet Security 2011 Free 6 months License Key has been sent to you email just now. Please check for it. I’m sorry to have kept you waiting. can you give the serial key? I’ve any problem there solution. send to my email, please! Because my notebook can’t rename every folders in all drives. give me your solutions, please! @tommy: Sure, i will sent one to in 24 hours. @tommy: You are welcome. Already sent one to your email, please check for it. i just dont have enough words to say…) Yhank you again for such a merciful job you do. @lima: Now, I can’t receive that email either. Luckily i still have one key that i got from a previous promo. I have just sent it to your email. Please check for it. Warm regards. my download of g data internet security 2011 stops at 5.3MB. wat`s the problem???? Works still fine for me. You may try to download it again. available in Spanish, I registered the name and mail did not receive a return over the data to do the updates until now nothing, can anyone assist me? @lima: Sorry, but I can’t quite understand what you mean. Do you mean that you have registered with your name and email but don’t receive the 3 months free license? If so, I can sent you one. How can i renew the subscription after 3 month?Can you tell me the details??? @alanchong: Sorry, I do not know the specific details, but your will need G-Data IS special build in spanish installed to renew it. I use an identical offer from almost a year ago from the german PC-Welt magazine. Every 3 months a pop up appears when the program starts, you just have to click it, you get an email with a new serial number, you enter that number in the program, the program works for another 3 months. That’s all. @mt: Thanks very much for this info. Is there any way to change the language to english????? em espanhou, me registrei com o nome e e-mail mais não recebi um retorno com os dados para fazer as atualizações até agora nada,,alguém pode mim ajudar? hmm .the page redirects to somewhere else. either the offer has expired or something else.